Left to Right: Mixed Chicks Spring Bands, Mixed Chicks Trial & Travel Pack Contents. Mixed Chicks recently got in contact with me and asked if I would be interested in trying out some of their products. They are a brand I have wanted to try for a very long time, having always loved the look of, so obviously I jumped at the chance! Mixed Chicks was founded by Wendi Levy and Kim Etheridge who, according to their website, created their products because 'for years, multi-cultural people with hard to manage hair traveled from store to store, trying to blend products in a hopeless attempt to tame their locks. Although these are the foundations of the brand Mixed Chicks really does aim to cater to 'all curly hair types, white, black, asian, european etc and not limited to one specific mix of ethnicities'. They have a really diverse range of products, suitable for everyone! Although they are an American brand they do have plenty of stockists in the UK, which you can find here. You can order online through their website and shipping is international. Their products are also available through The British Curlies shop. Mixed Chicks Trial and Travel Pack Contents. Left to Right: Mixed Chicks Shampoo, Mixed Chicks Deep Conditioner & Mixed Chicks Leave in Conditioner. The first product I tried is their Trial & Travel Pack. It contains three travel sized products, a shampoo, conditioner and leave in conditioner. Maybe its odd but I love miniatures of products, there is just something strangely satisfying about them! With summer just around the corner I tend to do a lot more travelling and this pack is great to just throw in your suitcase. So much easier than lugging around large bottles which is what I always end up doing. I always struggle finding miniatures of curl specific products so its great to find a brand that does! I can see them being so useful you for weekends away or short breaks when you only want to take hand luggage and can't take any large bottles. They would even be great for festival and camping season. As for the products themselves I thought they were great and so perfect for curls. The Shampoo was super lathery and I only needed around half of the miniature maybe even less. It cleaned my hair really well without being too drying. It also worked really well with the Deep Conditioner leaving my hair feeling cleansed but nourished and all over well balanced. Soft yet springy, defined curls. The Leave in Conditioner was probably my favourite. Leave in conditioners are one of my favourites anyway but when I used this one my hair was incredibly soft. I think I just spent all day stroking it and understandably got some strange looks! 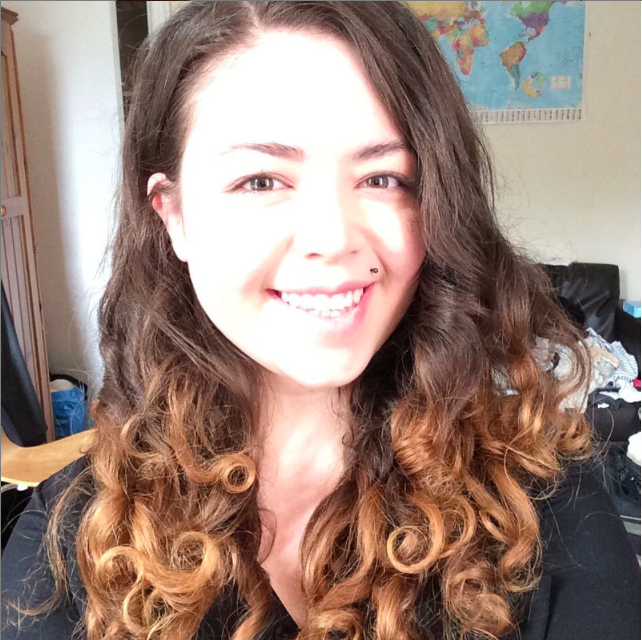 It also helped to add a little weight to my curls, defining them as well as keeping them moisturised. Sadly non of these products are silicone or sulfate free so if you follow the CG method or avoid these ingredients they are not suitable. But Mixed Chicks do have a Sulfate Free Shampoo with 'avacado, sweet almond and aloe' that looks amazing and it is definitely on my list! The second product was the Mixed Chicks Spring Bands. I am so grateful that these exist in my life. I think most people with curls know the struggle of hair bands. The knots, the pain, the breakage, the endless snapping etc. These conquer all of this and are hands down the best thing I know of for tieing back my hair. They don't leave any kind of kink in my hair and really do help stop my curls loosing their shape. They are much more comfortable than regular hair bands whilst still holding my hair as well. I do also own a similar spring bands from another brand but the Mixed Chicks ones are much better made and stronger. They also hold their shape really well, whereas I have found my other ones have lost their springiness, the Mixed Chicks Spring Bands have been much stronger. They also only cost $3 or £3 from the British Curlies Shop which I think is a great price and cheaper than similar products from other brands! Are you a Mixed Chicks fan? Love this post Jasmine! I struggle so much trying to find curly hair products and have started to embrace my natural curls instead of trying to straighten them out. The spring bands look amazing, the struggle is real with bobble knots! 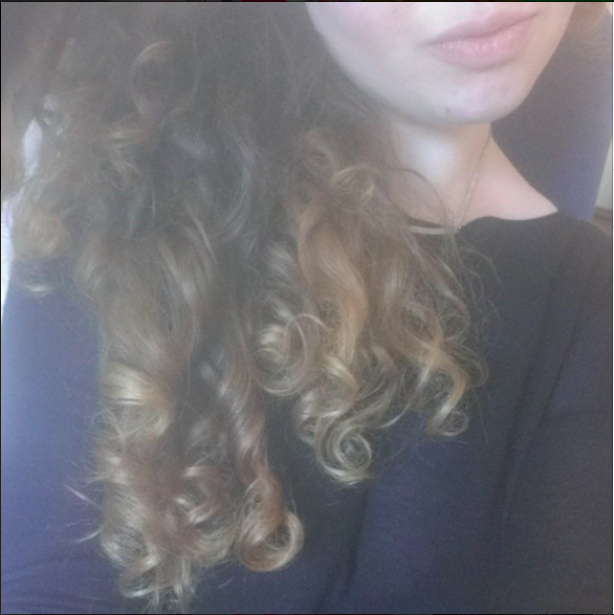 I love leave in conditioners too - I sit and stroke my hair as well, it seems like an unnatural thing for soft curls haha!